Secureship.ca | Another Canada Post strike? Need a new carrier for 2018 onwards? There are currently 600 tractor-trailers full of parcels and letters stuck in the Canada Post system. Each one contains an average 2500 items … so that’s over 1.5 million parcels already stuck in the backlog and this number increases daily. 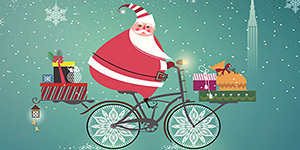 With Black Friday this week and the holiday season coming up soon after, people are increasingly concerned that packages just won’t be delivered in time, or even at all. Secureship can provide quotes from a number of alternative carriers, giving you the peace of mind that your items will get to the right place, at the right time. Although using another carrier can sometimes be more expensive, it is definitely worth it for the knowledge that your parcels will be delivered securely and on time. 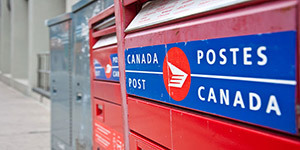 There might not be a strike this week, but customers of Canada Post face continuing uncertainty and inconvenience as the threat of strike action in the next few weeks remains. 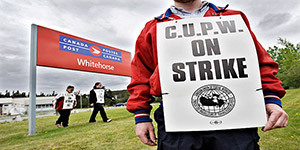 The last walk-out, in 2011, lasted almost four weeks as twelve days of strikes by postal workers was followed by a two-week lock-out of CUPW members by Canada Post. Many businesses, especially those which offered mail order services, reported taking huge financial hits during this time. Staff were forced to spend time exploring alternative shipping services to ensure that they were able to satisfy customer demand during the strike. Customers of Canada Post again faced months of uncertainty and expense in 2016, when long discussions with the CUPW finally ended without a labour walkout. 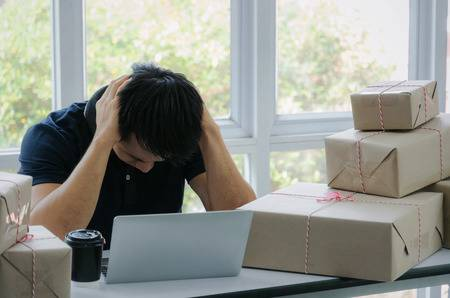 With continued threatened disruption to services by Canada Post, Canadians should consider looking for alternative ways of getting their parcels reliably shipped to avoid any risk of delay or loss due to a potential strike. Ok, so when should I stop using Canada Post? Before the strike or during it? Well, anything needing to go to remote areas with Canada Post should have gone last week! For everything else it’s best to start using an alternative provider immediately, even though the strike hasn’t yet been confirmed. This is because any items in transit with Canada Post when the strike starts will stay there until the strike ends ... suspended and lonely in shipping limbo…. What are the alternatives to CanadaPost? Fortunately, there are many alternatives to Canada Post available, so there’s no need to panic! 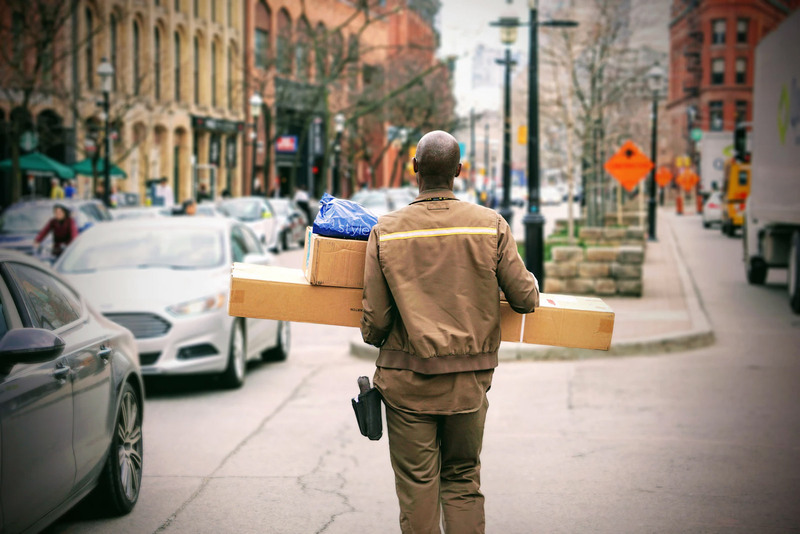 From Purolator to FedEx, UPS to DHL Express, as well as the countless smaller operators, you will be able to find a company able to ship your goods in the event of a strike. However, not all of the shipping companies will be accepting new customers during the strike period as they work to minimise disruption for their existing customer base. Also, it’s important to remember that all carriers suspend their on-time guarantees due to the huge volume of additional goods that they have to deal with. I'm busy! I don't have time for a Canada Post Strike! 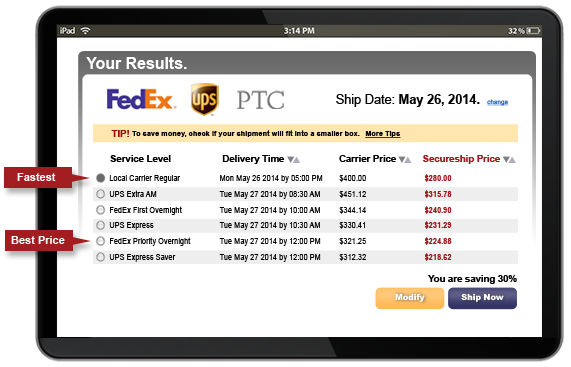 Secureship is a shipping comparison system which lets you compare prices from multiple providers in just a few clicks. Within seconds you can have the different pricing options available to you, as well as “best price” and “fastest service” notifications. Remember earlier, when I said that some companies wouldn’t be accepting new customers during this period? Secureship will happily accept new customers, so you too could benefit from the streamlined experience designed to make the shipping process as easy as possible. How else can Secureship help? 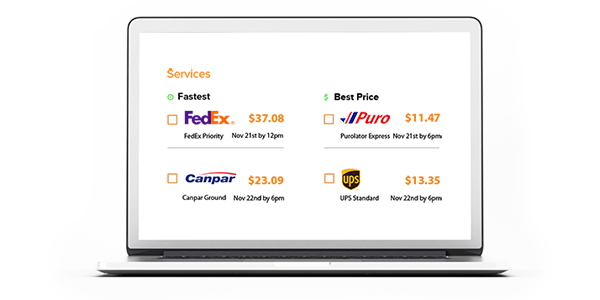 As well as comparing prices from multiple providers in just a couple of clicks, Secureship allows you to create shipments, track and schedule pick-ups and sends Smart Notifications to warn you of potential delays as you are creating your shipment, prior to it going into transit. Customers using Secureship experience 85% fewer issues when shipping because of the services, tools and technology that we have created … and if this isn’t enough, Secureship also saves you money! When you ship your package with us you also benefit from our group buying power, which has already saved our customers millions of dollars. In the event that your chosen company goes on strike, Secureship allows you to switch to a new company with just the click of a button. No monthly fees, no setup fees and no commitments. Just great technology, great savings and a great service. That’s ok! Secureship allows you to enter your Canada Post account number into the Secureship website. It will show negotiated rates and it will generate labels with the account number provided. You would then be billed by the carrier, unless Secureship could provide the same service level at a cheaper price, at which point the shipment would automatically be switched over to Secureship. Why not see how much you can save by getting yourself a shipping quote?